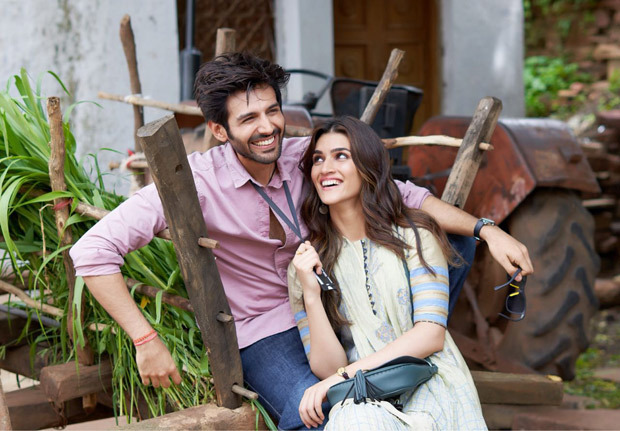 Kartik Aaryan and Kriti Sanon are coming together for the very first time for Dinesh Vijan’s next, Luka Chuppi. The two actors, who have been busy with their work schedule, have finally reached Gwalior as they film has gone on floors today. A few days ago a leaked picture from their look test had gone viral which featured Kartik Aaryan and Kriti Sanon as newlyweds. Dressed in the traditional outfits as bride and groom, the two of them can’t stop smiling during the look test while posing for the cameras. Earlier, it was revealed that Kartik will essay the role of a star reporter for a local TV channel in Mathura while Kriti will play his love interest. The actors will speak in the local dialect and hence the two had started the prep early on before heading to Gwalior for the schedule.